Although Amazon’s Kindle Paperwhite 2 has only been out for a few short months, there’s news that a third generation model is already being worked on. The Kindle Paperwhite 3 is said to have a higher resolution 300 PPI and like the Kobo Aura a screen that is flush with the bezel. TechCrunch claim that they have got hold of one of the prototypes code named, “Ice Wine.” They mentioned it has a new lighter design that mimics the new Kindle Fire HDX tablets and includes a rear power button. The device is also rumored to have haptic feedback along the edges, giving vibrating feedback when you do things like turn pages. Another feature is an ambient light sensor that takes readings of the light in the room and adjusts the screen brightness to compensate. The system gradually adjusts light in timing with the way an average person’s retina expands or contracts in order to prevent jarring transitions. 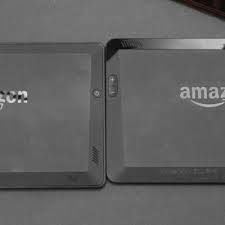 Amazon is also said to be developing a new font from scratch that they say will be conducive to long reading sessions.